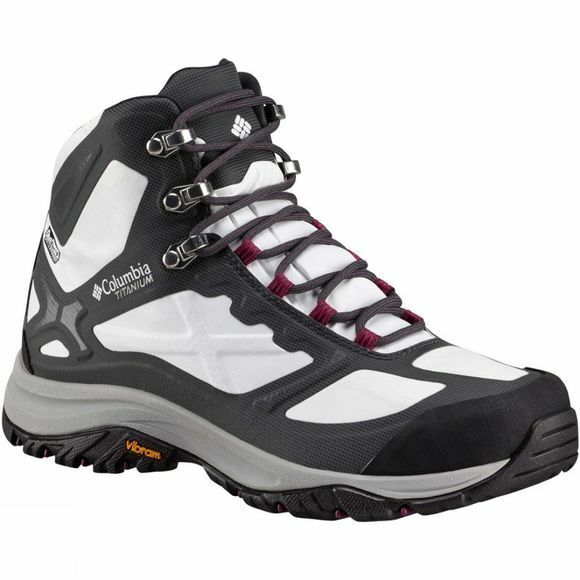 The Women's Terrebonne Mid OutDry Extreme Shoe from Columbia is a lightweight OutDry Extreme multi-sport shoe with plenty of protection and durability for the most rugged of terrain. The OutDry Extreme waterproof and breathable upper construction ensures your foot remains dry, whilst the Techlite midsole gives you superior cushioning and high energy return. It also features midsole ports for air ventilation and cooling.